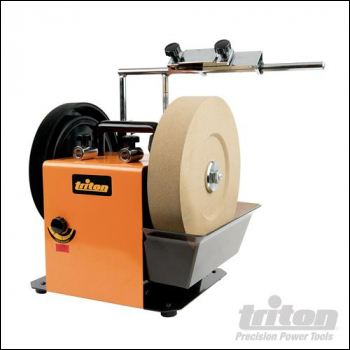 Profiled Leather Honing Wheel for the Triton Whetstone Sharpener TWSS10. For honing and polishing the inside of turning and woodcarving gouges. Honing/polishing V-parting tools. Made from solid tanned leather.